The Reynolds Building on the UK Campus was constructed as a tobacco warehouse in 1917. Soon it will be the new home of UK’s College of Design. Dean Mitzi Vernon of the College of Design stopped by our studios recently and shared her plans with us. Tom Godell: A new home for design, today on UK Perspectives. I'm Tom Godell. Last year WUKY found a new home after searching for over two decades. It turns out that UK's College of Design has been planning to relocate even longer, ever since moving into a temporary facility -- and its current home in Pence Hall -- way back in 1965. Today the college is poised to begin one of the most significant preservation and adaptive reuse projects on this campus. Here to tell us about that is the Dean of the College of Design, Mitzi Vernon. Welcome to UK Perspectives. Mitzi Vernon: Thank you so much. Godell: Where will your new home be? And what can you tell us about its history? Vernon: What we're really excited about is that it is an old building. 1917 is its marker. It was a Reynolds tobacco warehouse, which it actually still says on the lintel on the front of the building. It's got some nice age to it. It's got a nice patina to its brick and its wood and its steel. And if you remove all of the interior guts of the last 50 or 60 years, you would see that. You would see this kind of pure beauty of its original architecture and original materials. So that's what we're excited about. And we will occupy at least some significant portion of a hundred and forty thousand square feet. And we will be moving four parts of buildings together into this new space. Godell: You're currently spread over several buildings. Vernon: We are. We occupy all of Pence Hall. And that's been true for architecture really since 1965. But we are also the School of Interiors, and also the Department of Historic Preservation. We have a new program in urban design, or it's actually urban and environmental design, a graduate degree program that we are in the midst of launching. It just had its approval through all the legislation last summer. And we will be starting a product design program. It's also in the middle of its hoops of approval at the moment. That's a significant leap for the college. So we'll have much bigger variety of programs that will now go into this new building. Godell: And you've talked about it as a "new" building, but you also mentioned it was built in around 1917 -- so during the First World War. Why move into such an old space? Why not just level it and start over? Vernon: Well, that would really be against our mantras of taking care of our environment for one thing. But, you know, it gives us a chance to walk our talk. We get to talk about the things that I think we all believe in, which is that the existing building is the greenest building. I mean, that's just one thing -- sustainability -- and being able to live that, to exhibit that for the current students, for the recruited students. So that's one thing, but it's also beautiful. There's something really gorgeous about the masonry, the timbers and the steel, and the decisions that were made then about a simple, pure piece of architecture. So we love that. I mean, it's better than a new building, if you ask me. And I can't believe I'm the only one who thinks that in our in our college. So it's an opportunity to do something with parameters that you're given. And, you know, when we educate design students, you're always given some parameter, something. There's a context with which you are dealing with, and we want to do that. I don't think we could be more excited. Godell: And it's also a piece of Lexington history. This is a tobacco warehouse. Vernon: It's huge! It was an economic driver. You know, I have my own history with the RJ Reynolds name. They were dominant in Winston Salem, North Carolina. That was their home. I grew up there, and I was the beneficiary of one of Katharine Smith Reynolds scholarships when I was an undergraduate, and it was significant for me. It was transformative for my life. So their philanthropy as a family lives on beyond their economic driver history, which was also prevalent in North Carolina. Godell: What are some of the challenges that you face in adapting building for a new use? I know our old facility at McVey Hall where WUKY used to be located had offices with one electrical outlet. And so trying to use modern technology in a room with that kind of electrical service was problematic. What kind of problems do you face with the Reynolds reuse? Vernon: Well I think people that worked on the SAVS Building -- the School of Visual Arts -- had a similar banquet of things they had to deal with. Godell: And what a beautiful facility that is. Vernon: Absolutely. And, you know, the things that you're presented with, that you want to make sure -- as an architect speaking -- that your systems, the unsexy stuff is really, really working. And then you want to be able to bring the sexier parts to the architecture, right? But your systems really need to be that infrastructure that you don't have to worry about. So you want to make sure that the windows are properly thermal, you want to make sure that your HVAC is there and your IT. Godell: Yeah. I did see window air conditioners in the Reynolds building. So I take it you're going to do away with those. Vernon: Absolutely. Yeah, you don't need to think about that anymore. Yes, that's a that's a sign of all kinds of issues on campus when you see window units, right. You know that there are problems that lie behind that. So absolutely. So the systems, again, the drivers of HVAC and IT are huge for us, because technology, as I have mentioned before, is the serious driver for the building from a curricular standpoint and a physical standpoint. Godell: Has the design for the new building been finalized? Vernon: No. We are just hoping to launch that phase of the project beginning in February. Godell: And when do you anticipate this project will be completed? Vernon: Oh, boy, that's a good question. Well, we're so happy that -- we think and hope -- the question goes before the Board of Trustees in February, just to start the design phase. So we could look at a year or less from soup to nuts on design, to getting the drawings out, and getting a construction manager hired, contractors in place, that sort of thing. You could, if you're optimistic, think about maybe 16 months for construction. Remember, it's not from the ground up. So that buys you some time. And it all depends on what we're looking at with the architect, and we just don't know that yet. I am sure everybody would love to think that we could be in in two years. So we'll see. Godell: We'll have you back. And we'll talk about that in two years. Vernon: Do that. Yes, we can talk about how that process went. Godell: Well, I take it that funding is needed to make this work. So what is the what's the process for obtaining the funds? And how are you planning to do that? Vernon: Well, at least in this era, the university asks for most projects now to have 25 to 30% of their construction need funded with philanthropy. So we've been thinking about this actually a lot longer than this moment. I mean, we've been strategizing and planning about those people who really care about this. And it's not just alumni. I mean, often you're thinking that your alumni is really your base. But I think we really see Kentucky in a much broader way. There are so many people for good reason, who care about historic preservation, adaptive reuse and the role of those disciplines in the state. So it's not just that they care about possibly this building that we're trying to take very good care of. But they also care that we have a historic preservation emphasis in our college. Architecture, interiors -- I mean, all of these things are good for the Commonwealth. And they also, we hope, are economic drivers, and that we can continue to kind of feed the economy of Kentucky. So I think there are any number of people out there who would be very good friends of the college if they aren't already. We also have a terrific new director of philanthropy that we hired really I guess a month ago now and she's been a friend of the college for a while. Her name is Remona Edenfield. Delighted to have her. She has a great battery of years of success at UK in philanthropy, and we couldn't be happier about that. Godell: Is there anything you wanted to cover that we haven't talked about? Vernon: I just want to add something more about technology. It's an easy term to use. 'Collaborations' is another one of those terms, right? We throw those things around. And it means, I think, something different to different people. But this building and not just the building, but the transformation for the college really needs to have a certain respect for technology that I think hasn't been there, because space and resources haven't been there. And we look at technology as we need to absolutely know what's there, be absolutely aware and if possible, be a step in front of that. But it's not just about technology of actually building and making, because that's huge. That's there. But when you're trying to teach somebody how to be a good steward of technology, that's about experiment. That's not just about yielding a made thing in the most expeditious way you can. That's the last thing you want to do. That's what 3D printers can do that is damaging. Oh, I can just print this, so that's exactly what I'm going to do -- instead of really thinking about what's my goal, and what are the series of technological leaps I can make to get there. So what you're trying to do is teach that student how to make very seasoned decisions about how to get from point A to point B. And the more you can see them act that out the better -- much better for them as decision makers later. So they're not yielding to a technology that they may or may not fully understand. So that's really important. So when we outfit the building with analog to digital maker space, that's what we're thinking about. We're thinking about the curriculum that's driving that; not the other way around. Really, really important. So when we hired Bill Massie to be the new director of design technology, and we created that position. That's exactly what it was there for. And that is exactly what he does. Really important. We're not throwing technology at a situation. Godell: Well, and the technology of today may be gone in five years. I may be using some completely different way to design and build things. Vernon: So you have to be thinking about that when you design a space that you are trying to educate in, you want that mobility to move things in and out. And it's really about how you take the student through that space, both in time, and spatially moving through the act of making. So you've got several things at play. And you want to make sure you've designed an architecture that can support that concept -- much more important. Godell: About how many students are there in the College of Design? Vernon: So give or take, since I've been there, it's usually hovering around 400, 420. The commitment I've tried to make is thinking, you know, within five years, years, we can double that. If you take all of these pieces together with the opportunity that we have not had to actually expand, because we have space, but also to add the new program. So if you do all of those things, I don't think that's an unrealistic goal. Godell: And that's graduate and undergraduate. Vernon: Yeah. I think we'll have kind of a combination of new and added [students] in both of those areas. Godell: So if you're going to have an open studio, you need a pretty big space. Vernon: You want this analog to digital capacity for making to support that. That's one big chunk of the building. And then you want the open studios and then you want to take care of your faculty. And, not just their space, but how they commune. We're hoping to do a center for design history. That's something we're really, really good at in our college. And we need to tell people about that. And we need to make it easier for those people and other historians across campus to participate in that. So that building will afford a variety of different kinds of space for things that we're already pretty good at, we just don't have capacity. So the building can offer that capacity. Godell: Well, that's very exciting. And I know you're going to have quite a time over the next couple of years making this happen. Vernon: You need to come right back and talk to me many times over the next few years. Godell: You bet. We will be there. We will bring our microphones to you, and actually hear some of the work in progress. Vernon: Let's do that at Reynolds. Godell: That would be great. Godell: Well, thank you very much. Our guest has been Mitzi Vernon, Dean of UK's College of Design. 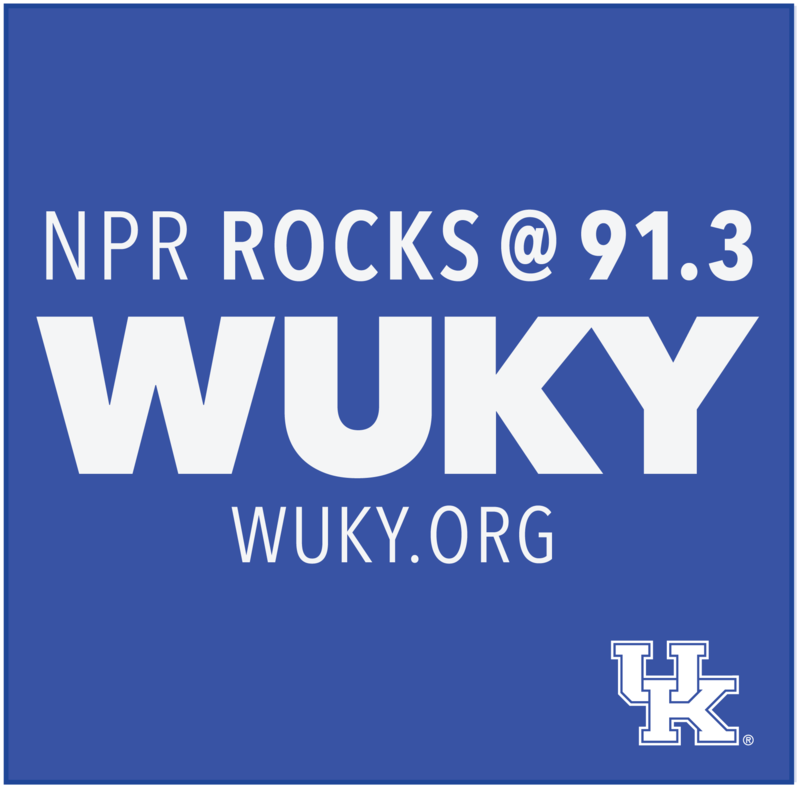 You can hear more of our conversation at WUKY.org. For 91.3 WUKY, I'm Tom Godell.